Facebook launched Timeline last week, after first introducing it at f8 in September. 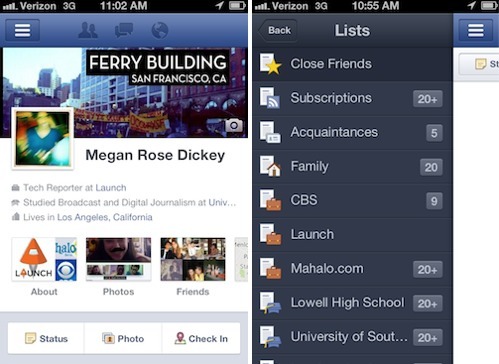 That same day, Facebook updated its app for Android to feature Timeline, but left iOS users out in the cold. In terms of daily users, the Facebook app on Android devices has 58.8M active daily users, according to recent statistics from AppData. However, Facebook for iPhone leads in monthly active users with 99.5M while Android devices have 86.1M. As PC Magazine explains, "an app with a fairly constant MAU and growing DAU would indicate that more of the app's users are being hooked into coming back on a daily basis. An app with a growing MAU and DAU indicates that more users are finding and engaging with the app. And an app with a constant MAU but lessening DAU could be facing a decline in interest, which could correlate with a lower MAU in subsequent months." When you upgrade to Timeline, users have seven days to design it before anyone else can see it, but you can also publish it anytime before that. The opt-in period for Timeline will last for a few weeks so people don't need to activate it right away. Facebook noted in the app description that support for iPad is on its way.